The New Acropolis Museum is a place where you will get deeply connected with ancient Greece and its cultural heritage. The Museum hosts its collections across three levels, as well as in the archaeological excavation that lies at its foundations. It hosts numerous archaeological exhibitions, marbles, sculptures and ruins. It is a must-visit for anyone interested in ancient Greek history and archaeology. Athens is a city full of museums, but the National Archaeological Museum is one of the greatest in the world. You will find small treasures from the glorious past, including sculptures, jewelry, pottery and the incredible Antikythera Device, a 2000 year-old computer found in a shipwreck, which is considered the first computer in human history. Plaka is the oldest neighborhood in Athens and probably the most beautiful place of the city. The picturesque cobbled alleys, the neoclassical buildings and the artisan shops will most surely captivate you as you walk through it. The area offers many options, as you can enjoy a coffee or drink at one of the numerous local spots, watch a movie on the outdoor roof of Cine Paris under Acropolis or admire the ancient ruins that are scattered around. 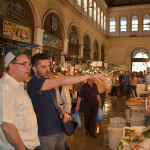 The Athens Central market is a place full of life, voices and food products in the heart of Athens. You will find the best fish, meat and vegetables of the area, as the local shoppers try to sell their goods. It’s a unique experience that you will definitely narrate back to your country. Live the experience at the fullest by joining our tasty Flavors of Athens Food tour, with a food-specialized Insider guide who will give you deep insights into Greek gastronomy culture. The Syntagma (Constitution) Square is the best meeting point in Athens. Placed in front of the Greek Parliament, it is the center of the citizens’ routine and political developments, as most strikes begin and end up there. You can’t miss the Tomb of the Unknown Soldier outside the Parliament, where you can also see the ‘Change of the Guard”, which takes place every hour and it’s a common tourist attraction. In any case, Syntagma is the spot to begin your walking tour in Athens! If you want to watch the best sunset in Athens, you have to visit the Temple of Poseidon in Sounio. It’s about an hour distance from the city center, but it’s totally worth it. Driving along the impressive coastline of Attica is a beautiful experience of its own and the majestic Temple, dedicated to Poseidon, the ancient Greek god of sea, used to be a place of worship for a reason. You can also combine your visit with a swim or dinner at one of the nice taverns in the area. Monastiraki Square is one of the most lively and vivid squares in Athens. You can have a stroll around the local shops, enjoy innovative street art performances and feel the vibes of the city. At night-time, you can also get a slice of the famous Greek nightlife, as it is a popular spot for locals. If you are looking for a romantic spot at the heart of the city, where you can also admire breathtaking views, Lycabettus Hill is the place to go. 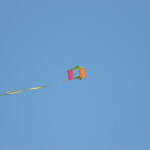 It stands high above Athens, offering views to the whole city reaching the Aegean Sea. You can test your hiking skills as you make your way to the top, where you will also have the chance to visit the tiny white-stuccoed chapel of St. George. We strongly suggest to visit in the afternoon, in order to enjoy the magnificent sunset. 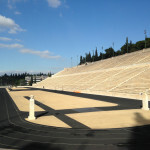 The brand new cultural gem of Athens. The Stavros Niarchos Foundation Centre (SNFCC) is an architectural masterpiece designed by Renzo Piano. 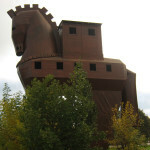 It houses the National Library of Greece (NLG) and the Greek National Opera (GNO) and offers creative playgrounds and unique spots, ideal for families with children. Its unique green park is ideal for a day of fun and relaxation. It’s definitely worth the visit, as you will not find anything similar in Athens.